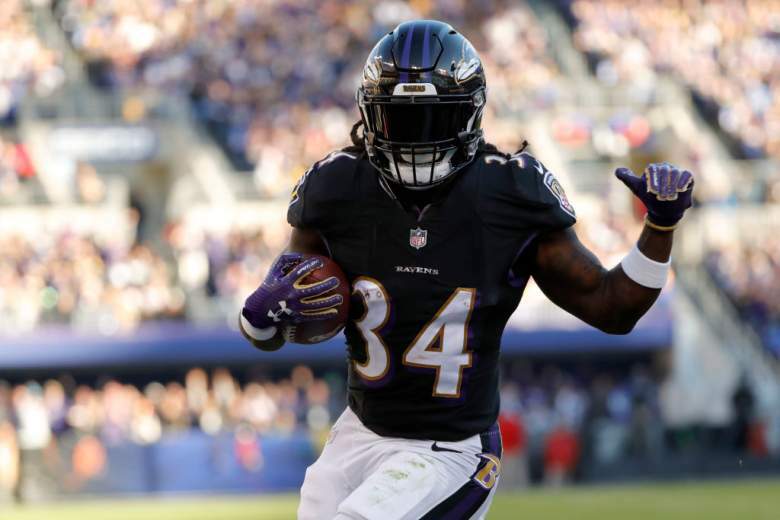 In a surprise move on Saturday, the Baltimore Ravens placed running back Alex Collins on the injured reserve. Collins missed time with a foot injury, but the move was still unexpected. Although he did not play last Sunday, Collins was a full participant in practice by the end of the week. By placing him on the injured reserve, the Ravens will be unable to call upon Collins again this season. Collins’ time in Baltimore could be over as well. Collins will be a restricted free agent in 2019. If the Ravens do not tender him or match an offer another team makes, he will leave Baltimore. Collins burst onto the scene in 2017. The Ravens plucked him from Seattle’s practice team at a time when the running backs group was ineffective, and the offense was sputtering. Collins took the opportunities he was given and capitalized on them. Collins rushed for 973 yards. He not only led the running backs group to a new life but rejuvenated the Ravens offense as a whole. In 2018, the story changed. Despite seeing so much success in the prior year, Collins’ quality of performance dropped drastically. His average yards per rush dropped from 4.6 to 3.6 yards, and his rushing yards per game fell from 64.9 to 41.1 yards. The shuffle at running back has been the theme of the 2018 season so far. By being placed on the injured reserve, Collins’ season is over. To replace Collins on the depth chart, the Ravens reactivated Kenneth Dixon. Dixon was recently taken off the injured reserve after being delegated to it in September. The Ravens backfield will still consist of four running backs. Gus Edwards will be the feature back, with Ty Montgomery, Javorius Allen, and Kenneth Dixon behind him. Interestingly, each running back on the Ravens roster will be a free agent in 2019. The final few weeks will be an audition to the Ravens and other teams for lucrative contracts next season.